The goal of the Acorn Forest School is to be an outdoor program with our classes being 75% outside. For most of our programs we meet in wooded conservation areas with no indoor facilities. This means that we have to deal with all different kinds of weather in each season, but that is part of the adventure! 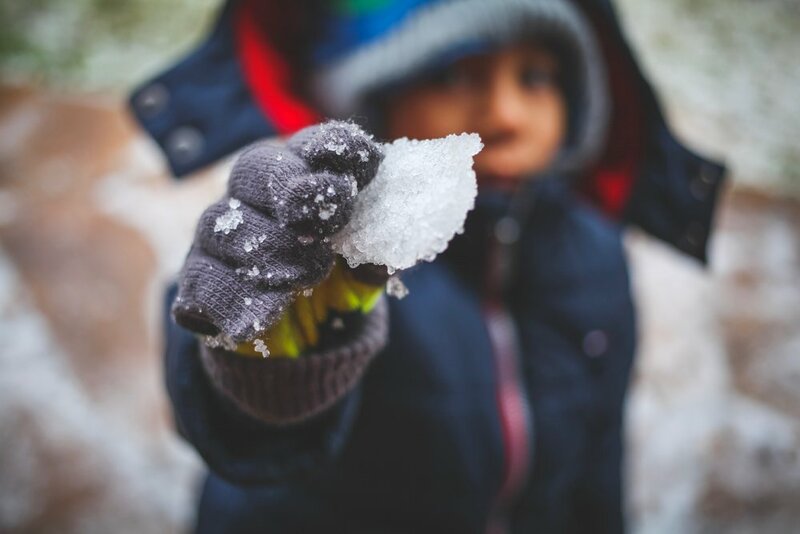 We follow the mantra "there is no such thing as bad weather, only bad clothing" and encourage caregivers to keep the weather in mind when helping children get dressed for our classes. In cold weather layers are important, and in warm weather sun screen and hats as well as plenty of water go a long way. However, there will be times that weather is too extreme to be outside for our classes. During these times we will cancel class and reschedule for the week after the anticipated final week of class.